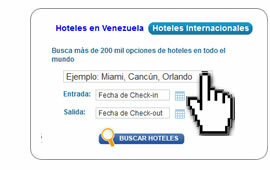 ¿How to book International Hotels? 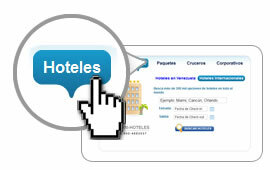 In the Main page select the tab "Hotels" and a form is shown, with the information you have to complete to search for International hotels. 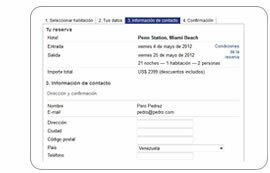 In the form, select the search criteria for your booking: Destination city or Hotel name, Check-in and Check-out dates, etc. 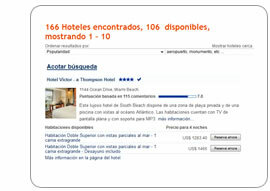 The search result is shown with the hotels that match the criteria in previous step. 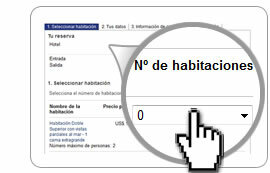 Verify the destination information and select your choice by clicking on it. The Hotel list is shown with the previously selected destination. Verify the rating, description and prices. Select your preferred hotel and click on "Reserve now"
The room list for the previously selected hotel is shown. Select the amount of rooms and verify the total prices of your reservation, then click "Continue"
The form is shown to complete the booking information and credit card number. 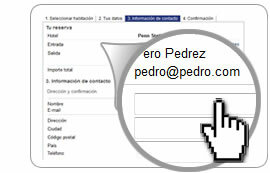 After filling out the form, click on "Continue"
The form is shown to enter contact information. 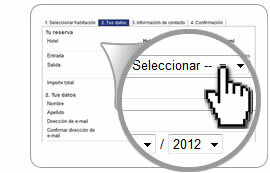 After completing the required information, click on "Book"
The summary for your booking is shown. 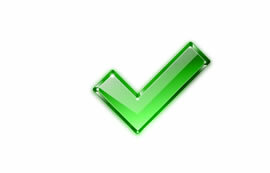 Verify the information and click on "Confirm". Congratulations, you have booked your Hotel.